Whether it’s a movie theater, dinner party, or your annual review at work, there are times when you definitely don’t want your mobile ringing out. Thanks to a bunch of hidden features and apps, it doesn’t have to happen to you. Here are three simple ways to keep your phone’s disturbances in line. To set the mode manually, drag down the quick settings drawer from the top of the screen and tap the toggle switch. You can keep your phone silent indefinitely or for a certain time period. Tap More settings to customize a ‘priority mode’ instead (where certain alerts are allowed). If you’re not using stock Android Marshmallow, your available options may vary slightly. Apple devices also have a Do Not Disturb mode, which you can switch on through the moon icon on the Control Center or through the Do Not Disturb menu in Settings. Here you get the option to switch it on manually or set a schedule of “quiet hours,” which then apply every day of the week. Priority calls can still be allowed if that’s important to you. Once again, IFTTT proves itself. 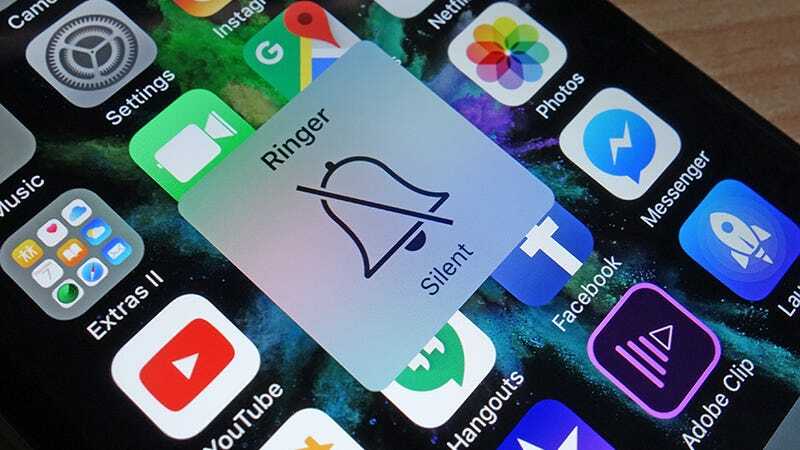 You can use the web service to mute your phone based on a specific location or a specific time of day, though for now it only works with Android devices. Before you get started, you need to link the Android or channel with your device. Search for the channel from the front page then follow the on-screen prompts. There are several of Android apps that do a similar job (nothing for iOS at the moment, though). Take a look at Mute by Location, for example, which does exactly what its name suggests, or Cinemute, which detects when you’re in a movie theater and silences your phone automatically. It’s also one of many tricks you can do with Tasker.